The City of Lawrence launched the Common Ground Program in 2011, to provide garden space for local food growing. 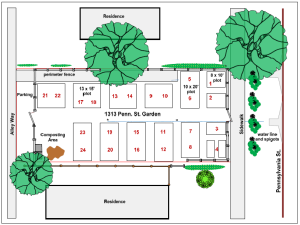 All sites are City-owned properties that are idle, and are made available to groups or individuals to develop into community gardens or market gardens. 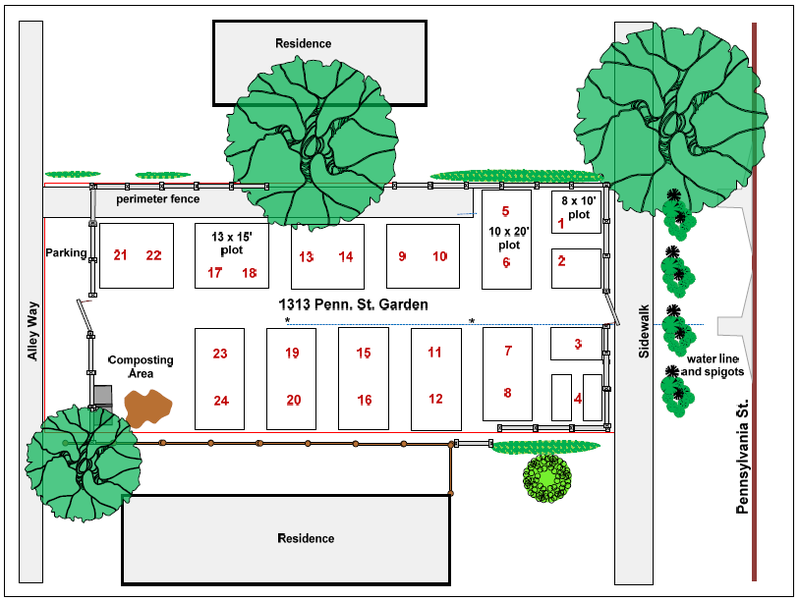 The Sustainability Action Network leased two empty lots beginning with the 2012 growing season, one at 1313 Pennsylvania St. and the other at 1304 Pennsylvania St. They developed the first as an allotment garden with 14 raised garden beds, perimeter fencing, gravel parking, tool shed, and compost area. 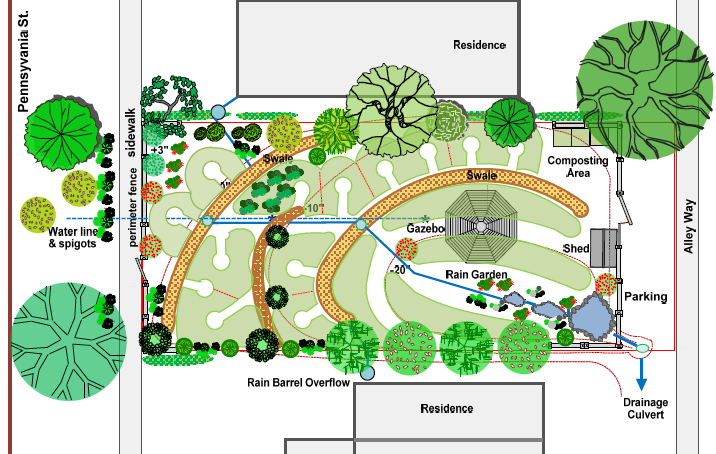 They developed the second as a permaculture garden with raised beds and “keyhole” beds aligned on the contour to catch water, perimeter fencing, gravel parking, tool shed, compost area, a rain garden, 1600 gallons of rainwater tanks, fruit trees, nut trees, and berry bushes. Each year there are co-managers for each of the two gardens. Co-managers recruit new members if there is any available space, and work with the members to develop a season plan. 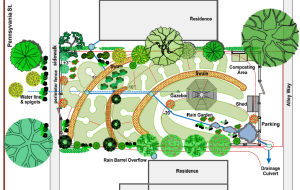 The plan should include materials needed such as seeds and plant starts, straw mulch or wood chip mulch, tool repair, scheduling group work days, paying the water bill, and making a budget for anticipated expenses. If the members choose, the budget could include a monthly stipend for the co-managers. Annual member fees depend on what expenses will be for the year. Expenses are much lower now than during the years of building the gardens, so a good guess would be $35-$50 per year per person. But that’s entirely up to the those involved in each garden. If you are interested in becoming a member of either garden, or being a co-manager, get in touch with one of the current managers. « Welcome ELNA Board 2015!